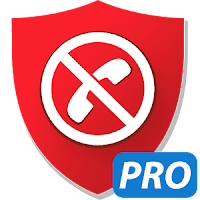 Calls Blacklist PRO is a Call blocker, and also effective SMS blocker. Calls Blacklist blocks unwanted calls and spam messages. You can add any number to the blacklist or enable one of blocking options: "Private numbers", "Unknown numbers" or "All calls". Also you can block calls or messages by prefix. This app is easy to use, lightweight and provides wide range of functions. Schedule by days of the week. Blocking method selection (required Android 7 or higher). Pay once and use forever. 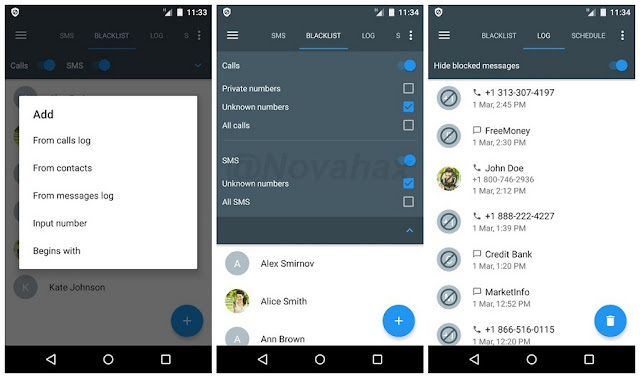 Block calls and SMS using blacklist. Block a range of numbers using the "Begins with" option. Block SMS from alphanumeric numbers. Block all calls while audio chat or VoIP call is established. Use "Whitelist" to prevent block of certain people. Get notifications of blocking or turn them off. "Schedule": specify time to block calls or messages.